Our range of products include bursting strength testers and bursting strength tester with two pressure gauge. Leveraging on our multifaceted infrastructure facility, we are engaged in offering high quality Bursting Strength Testers. 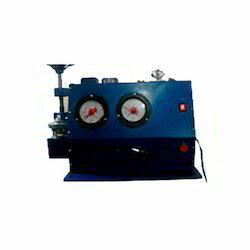 These testers are manufactured under the close supervision of our experienced professionals using high quality material. Our logistics personnel make sure that the consignments are timely delivered ct clients’ destinations. 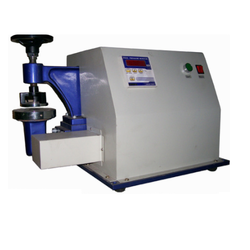 Bursting Strength Tester With Two Pressure Gauge of any material such as fabric, leather, paper etc. is its strength under multi-directional force and is defined as the hydrostatic pressure required to produce rapture of the material when pressure is applied at a controlled increasing rate through a rubber diaphragm.